Which is better - Internal filter or HOB? , I'm going to put in a filter. 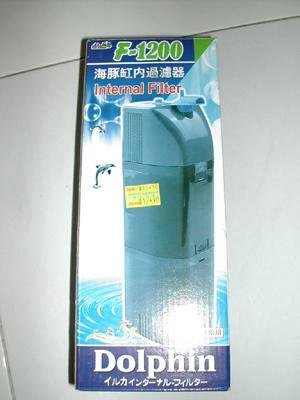 I've bought an internal filter, but onli to find that it's too big for my tank (too high). Mine is a standard 2ft tank. I intend to have a low demand light planted tank, without co2 and for keeping mainly shrimps. but the flow rate (450l/hr) seems too high for shrimps which I read again and should be not more than 200l/hr. Is there any good internal filter to recommend that is suitable for such application? Any idea what's the price like? Also is an internal filter better or HOB better for such purpose? Sorri for asking so many questions, thank you. IMHO... if just keep shrimps without other fauna, it is not necessary to have any filter.. you may wanna use floating plants to absorb the excess nutrients. u dun wan ur shrimplets to get sucked into your filter do u? If it's for a low tech non co2 planted tank, I'll go for a HOB as it free up more space internally and looks nicer, as well as easier for maintenance. But if its for one with co2 injection, internal filter may be the better choice among the 2 as HOB may cause lost of co2 due to more surface aggitation created. Try using spond filter or no filter. For my 2ft shimp tank. i just use an air pamp for circulation of water. Thanks for all the replies. I'll try out the HOB. All times are GMT +9. The time now is 12:56 AM.